If you are looking to hire clowns or other entertainers for you corporate event then look no further. Our clowns, magicians, fairies, face painters and other corporate entertainers perform each year at 100’s of promotional events, corporate events, festivals and functions throughout Sydney, Brisbane, Melbourne, Canberra, Adelaide, Perth and other major cities Australia wide. 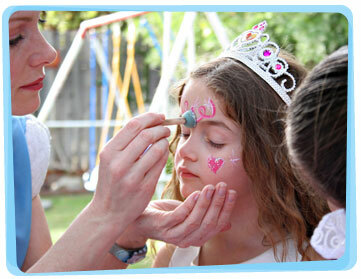 Face painting at festivals and corporate events. AND we even provide a combination of the above. Contact us so we can tailor a specialised package for your event.